Vanna is such a personality! She is gregarious, outgoing and confident. Most likely to ambush me coming around the corner and just a sweet, purring sensation. I love her light gold coloring and bright rosettes. Her coat texture is like velvet and sprinkled in glitter, the iridescent attribute that comes from air encircling the hair shaft. For now, she does have some whited expression on her underside but I expect it will cream over with time. She has the over the top playfulness that her sire, Stephen (CH A-Kerr's Ima Lookin' Even Better), did as a kitten. Vanna is following in her mother's footsteps, winning 6th place in agility at the prestigious CFA International show in Portland, Oregon November 18-19th, 2017. She has gone to rank 5th in the Great Lakes region in agility right under her mom at 4th. Current agility title as of December 2018 : Agility Master with a career score over 4200! 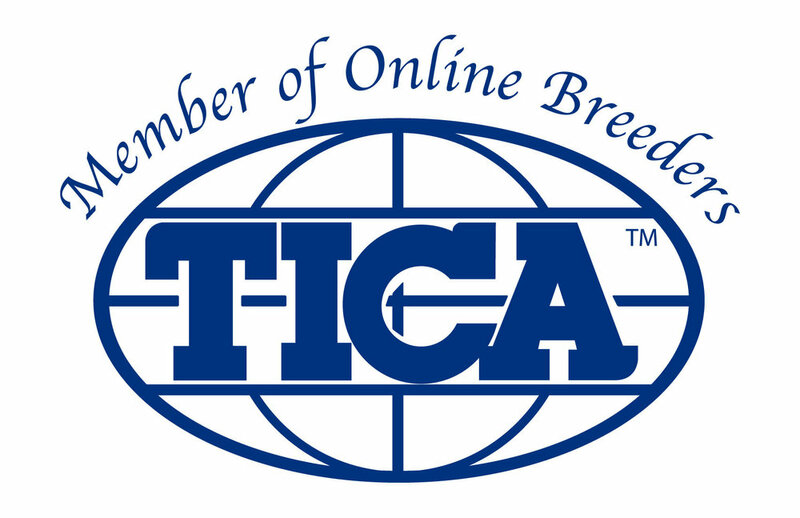 Vanna made TICA regional winner and quad grand champion in a few short 2017-2018 shows. She’s now a supreme in TICA and we are currently showing her in CFA where she has the unique distinction of becoming the first FEMALE Bengal to grand. She is currently the top ranked female Bengal in CFA for Regions 1-9. We are so proud of our little girl! Photos on purple done by the one and only Helmi Flick, agility and photos on teal by Larry Johnson. Vanna, doing her agility thing below! Bengals are a high energy breed and excel at activities like this! Plus what else would you do at a cat show during the down time? Colorful, short coat. I like her pattern flow and the c shaped rosettes. Highly glittered. Lovely profile and head shape. Her chin is strong as well, making her what I need in my program! Huge luminous eyes, puffy nose leather. Her expression matches her persona. Personality is simply hilarious. She is easy to handle, amazing to play with. Agility super star and fun! White underside. Her mother comes from whited lines, I hope she keeps it! A/A, B/B, C/C, D/D, also carries marble since her mother Alina, is one. Both parents HCM tested normal in either 2016 or 2017, Vanna is negative as of May 2018. Negative for all other diseases that Optimal Selection can currently cats for.